When it’s hot, it’s not ~ or is it ! Even with the temperatures cooling down, this Gift Arrangement will definitely keep the heat going. 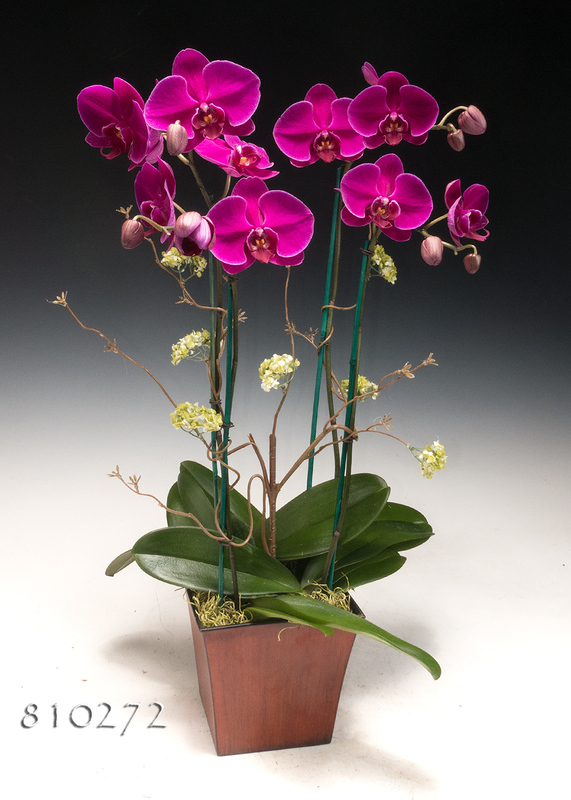 Our design staff will select our most floriferous fuchsia Phalaenopsis, bearing large glowing flowers, and tuck them into our square Euro cachepot. Artistically enhanced with faux flowering vines weaving gracefully among the spikes, this 27” presentation will arrive perfectly finished with the gentle touch of a soft bed of jade Spanish moss.